Tribal nations have been actively engaged in efforts to understand climate risks to their natural and cultural resources, and what they can do to prepare. We have carefully selected a suite of resources that may be useful to tribes at each stage in the process of evaluating their vulnerability to climate change—from tribes just getting started to those well on their way. How is the climate expected to change, and why does this matter for tribes? The climate is changing, and these changes matter for tribes. Understanding climate change and what specific changes are expected across lands and waters of importance to your tribe can offer an important first step in assessing and preparing for climate risks to natural and cultural resources. Why does climate change matter for tribes? How will the climate change for my Tribe? How can tribes assess their climate vulnerability? A vulnerability assessment is a process for evaluating how the things we care about (e.g., a place, community, or resource) could be affected by climate change. 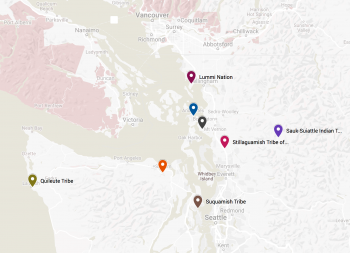 Tribal vulnerability assessments have taken a variety of approaches, from those that use primarily indigenous methodologies, to those that rely primarily on western science, to those that braid these two approaches together. How can tribes engage their communities, youth and governments in assessments? Regardless of the assessment approach taken, it may be valuable to consider some specific audiences in both the assessment process and its eventual products. In particular, engaging tribal communities, youth and governments in the assessment process can help raise awareness and generate future support for vulnerability assessment and adaptation efforts. How can tribes use, fund, and get support for tribal climate change vulnerability assessment efforts? Tribes can use vulnerability assessments to inform efforts to prepare for the impacts of climate change. Multiple federal and private funding sources are available to support tribal climate change efforts. In addition, tribes can connect with other tribes and tribal organizations through regional tribal climate change networks. How can Tribes connect with others doing climate change work? 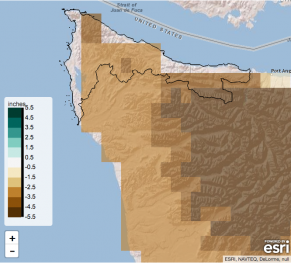 This site was developed by the University of Washington Climate Impacts Group as part of an effort to enhance the capacity of Northwest and Great Basin tribes to assess their climate change risks. This work was informed by the generous guidance of a Tribal Advisory Group: Laura Gephart (Columbia River Inter-Tribal Fish Commission), Eliza Ghitis (Northwest Indian Fisheries Commission), Scott Hauser (Upper Snake River Tribes Foundation), Kathy Lynn (University of Oregon), David Redhorse (Bureau of Indian Affairs), Don Sampson (Affiliated Tribes of Northwest Indians), and Kyle Whyte (Michigan State University). This work was supported by funding from the DOI Northwest Climate Adaptation Science Center and Great Basin Landscape Conservation Cooperative. Learn more about the University of Washington Climate Impacts Group.